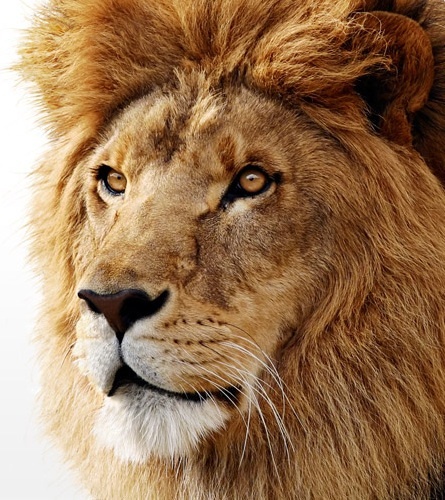 The next big cat in the OS X line will be the “Lion” for OS X 10.7. It’s basically “Mac meets iPad”, ie. bringing iOS innovation to Mac OS X on the desktop. New stuff revealed in OS X 10.7 Lion is the Mac App Store which, as you know from your iDevice(s), is a collection of free and paid apps. Apps will be licensed for all your Macs, not just a single device. Launchpad is also something new in Lion, it’s like the homescreen from your iOS device, except it’s for the Mac. Instant access to your apps – iPad style! Mission Control gives you a bird’s-eye view of everything including Exposé, Spaces, Dashboard and full-screen apps. OS X 10.7 Lion will also have systemwide support for full-screen apps to make them bigger and more immersive, taking away all the distractions so you can concentrate on every detail of your work. The Mac App Store should “ship” within 90 days and Mac OS X 10.7 Lion will be available Summer 2011. It’s been a while since iLife was last updated and today Apple announced the new iLife ’11. iWeb and iDVD was not mentioned by Steve Jobs on stage, rumors said iDVD would be removed but also that iWeb would have been completely re-written. What we do know, however, is that iPhoto ’11 will have a revamped full screen mode, big Facebook integration and new slideshows. iMovie ’11 now comes with audio editing style effects, People Finder, more themes and an “auto movie trailer feature”. GarageBand ’11 also got some new stuff such as FlexTime, groove matching, new effects and lessons. 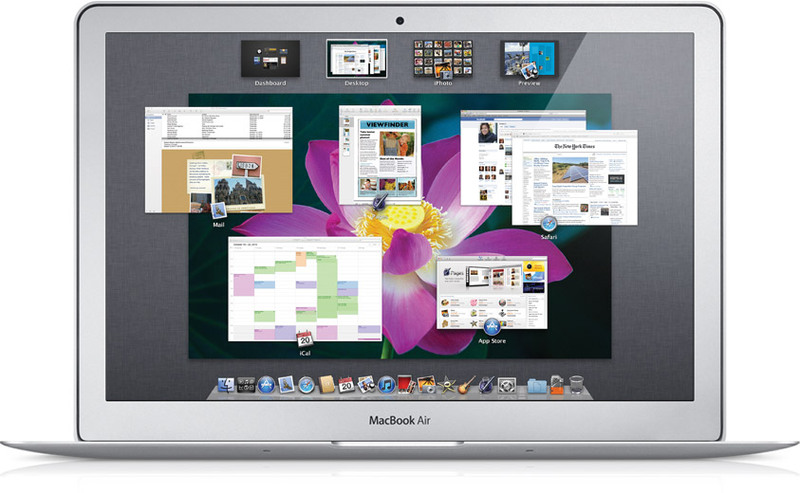 iLife ’11 is just $49 or $6.99 if you bought a new Mac between October 1st and 19th 2010. Apple Store lists iLife ’11 as “Ships within 24 hours”, so I assume it’s already available. More iLife ’11 on Apple.com. FaceTime was, until now, only available on iPhone 4 but when Apple announced iPhone 4 and FaceTime, they also said something like “more FaceTime devices would ship in 2010”, so we kinda knew that something would happen with FaceTime soon – and now it has. It’s not a new device per se, but FaceTime is coming to the Mac as well – already available for download on Apple’s website. It’s a very simple app that integrates with your Address Book and allows for Mac to iOS calls or simply Mac to Mac. Simple as that. More “FaceTime for Mac” and download on Apple.com. Finally, as rumored, a new MacBook Air aired. There’s a 11.6″ model and a 13.3″ model. Both comes with SSD storage, 64GB for the small model and 128GB for the bigger, but can be upgraded as you order. Memory starts out with 2GB but can be upgraded to 4GB – though you’ll have to order it with 4GB, you can’t upgrade it yourself. Battery life is now even better with 5 hours on the 11″ and 7 hours on the 13″ (using wi-fi), and 30 days standby. 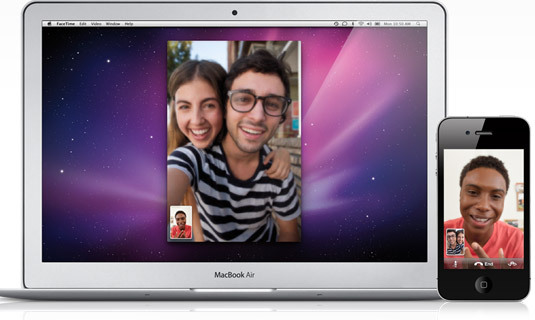 More MacBook Air and watch the new ad on Apple.com. Thanks for this awesome techie update Klaus. Really appreciate this summary thing of yours. I must admit I was left somewhat confused, underwhelmed, and a bit annoyed by Lion (as we’ve seen so far). If I wanted iOS, I’d go on my iPad. I worry Apple are starting to worry more about making Macs more ‘fun’ to use and with ‘apps for that’, and therefore beginning to impose a more locked-down OS. At which point I question the need of owning a Mac and consider whether Windows is more appropriate for my needs. Come on Steve, make the right call, I say! Previous post: Apple Q4 2010 financial results – the best quarter ever!